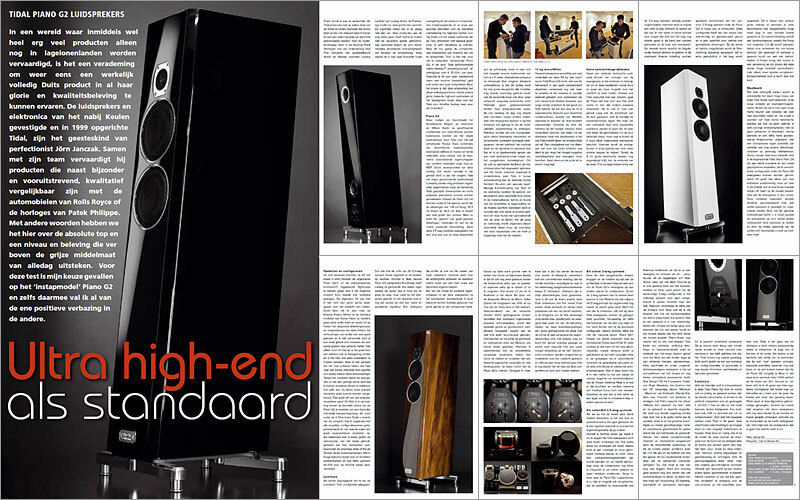 TIDAL Piano reference review in “Music Emotion”. What has happened is actually unbelievable, there is now the largest, most powerful and most credible 'fat' and play voluminous sound image what I have ever achieved and heard here!! You think then no longer focusing, 3D experience, neutrality or resolving power. This is just incredibly addictive...[.]. What a wonderful wolf in sheep's clothing is this Tidal Piano anyway and above all, also so pleasant and desirable other than direct competition. It plays from small, pure, pure and almost intimate, to 'normal', pleasantly balanced and credible and then even up to groundbreaking almost 'fat' but fully controlled bombast. In addition to all this particular obedient pleasures, we must especially do not forget that these weatherers also visually at the most beautiful and most mature designs include those currently available on the market to be. Ultra high-end as standard and that is not an empty promise, I know now!"